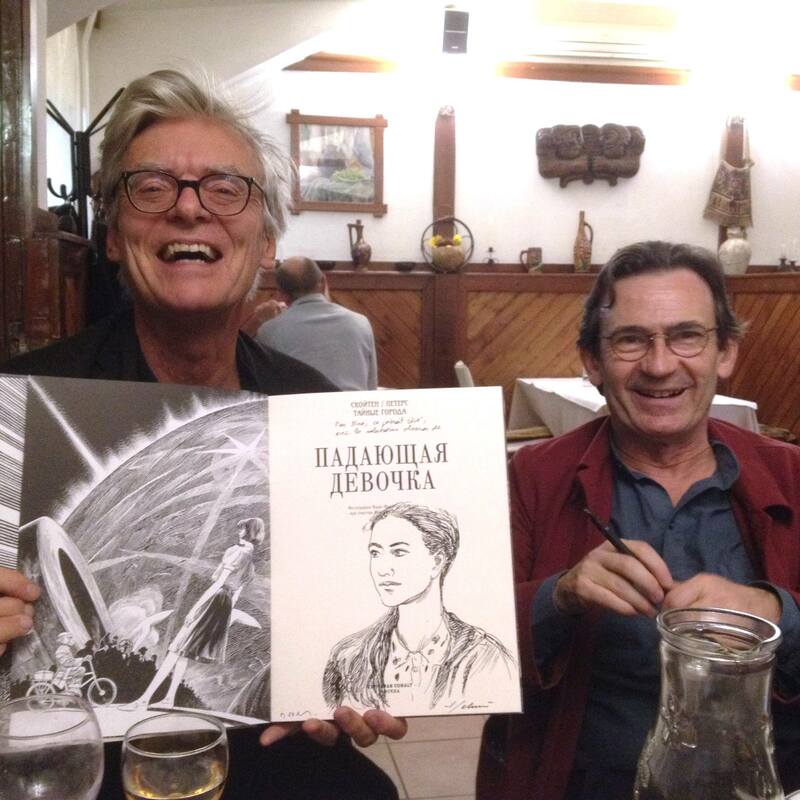 François Schuiten and Benoît Peeters were invited at the Russian comicfestival Boomfest in Saint Petersburg. On September 22, 2017 they attended a conference in the French Institute. At the festival publisher Zangavar released Теория песчинки, the Russian translation of L'Enfant Penchée. On September 21, 2017 Schuiten and Peeters visited also St. Petersburg State Art Academy Stieglitz.